Our world is a dynamic, complex place, and there are many opportunities to be found by gaining insight into the relations of the 'system' that we're a part of. This is especially true when trying to m,ove from linear economy and supply chains to circular economy systems. 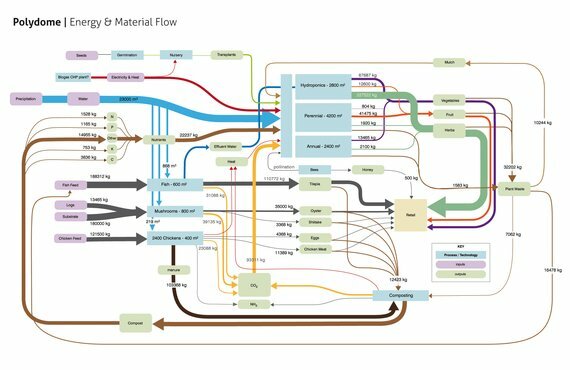 To get started with this, system bring clarity in complex processes such as corporate strategy, circular economy projects, supply chain analysis and performance statistics. 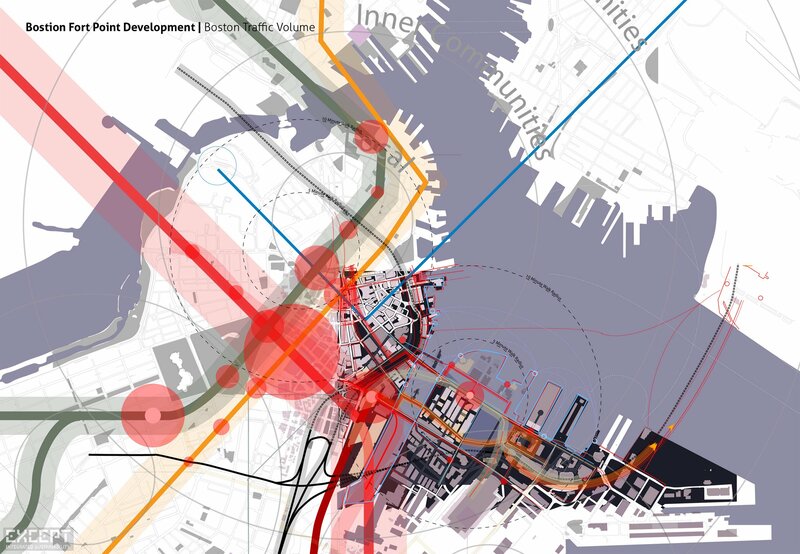 They allow you to grasp complicated industries, policies or urban developments at a glance. System maps also deliver significant advantages for working in group decision making processes, stakeholder involvement and higher management decisionmaking. 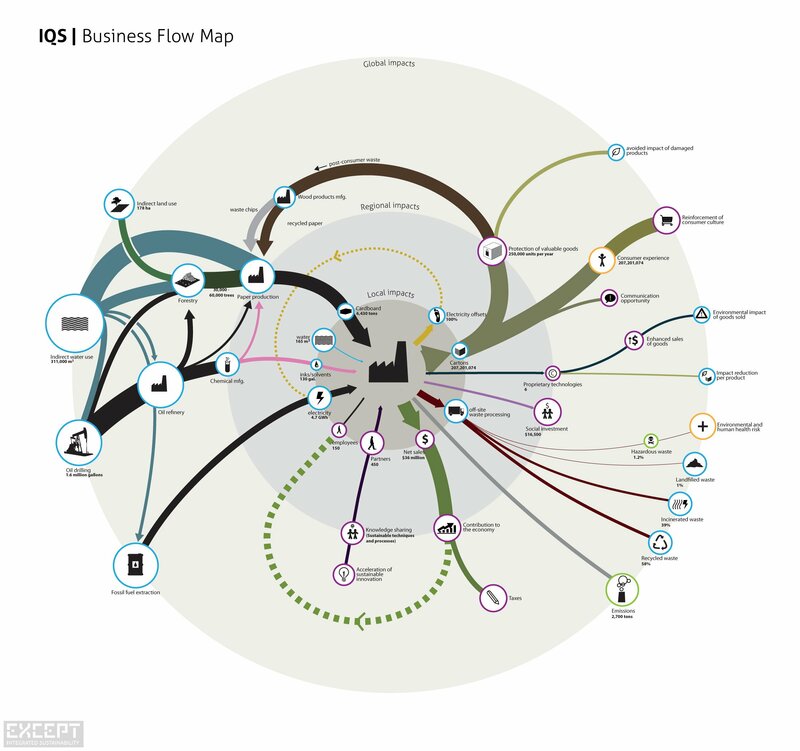 System maps allow you to see where the largest costs and impacts of your products and services are made. It gives you a strategic oversight of your entire operations at a glance, allows you to include stakeholders and make long term improvement plans. 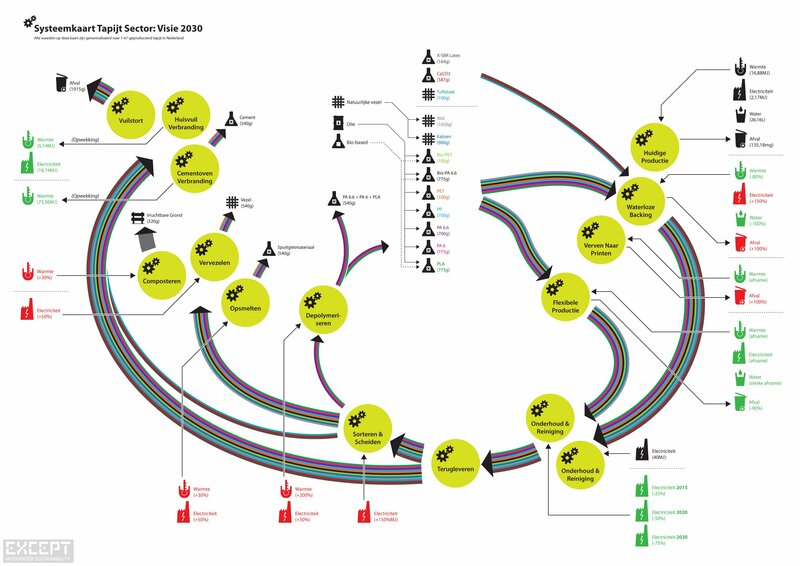 System maps allow you to find key strategic leverage, by yourself or with a group. Rather than wading through thick reports, one single image can provide the insight you need. 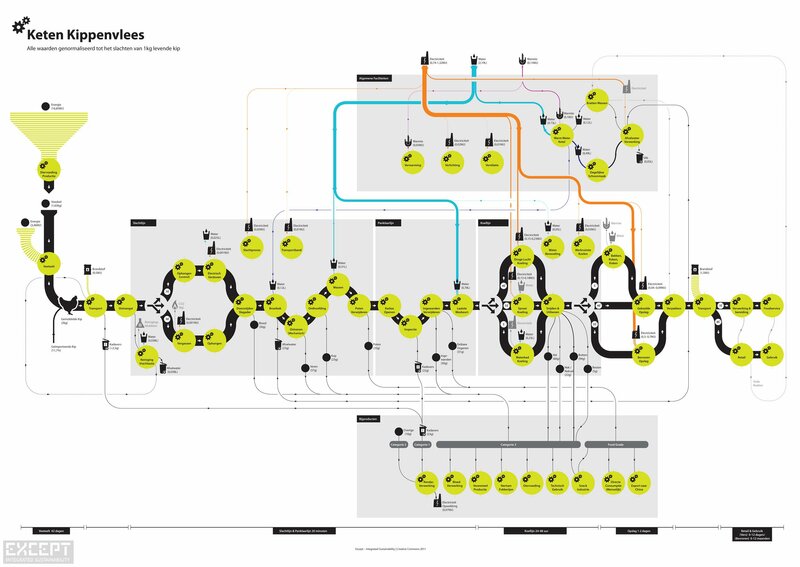 System maps show you how energy, material, people and financial streams flow through your city. They allow strategic insight into where the most effective measures can be taken to improve local conditions, create circularity, save money and involve the community. System maps also create an opportunity to collaboratively work with stakeholders in the community, and as a support for group decisionmaking. 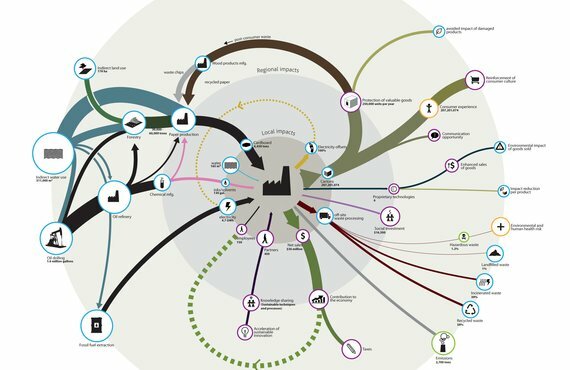 System maps allow the mapping of the effects of your industry within society, including the positive ones. 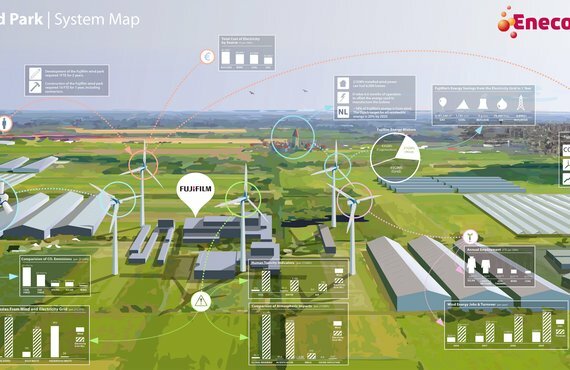 They form the basis for smart strategies such as industrial symbiosis, cogeneration and supply chain optimization. With a system map, you can also work with a team to further the understanding of your industry and find key leverage points for improvement. Mapping the effects of policy and societal dynamics brings deep understanding of the effectivity of policy, and creates insight into where policy could have the highest priority. 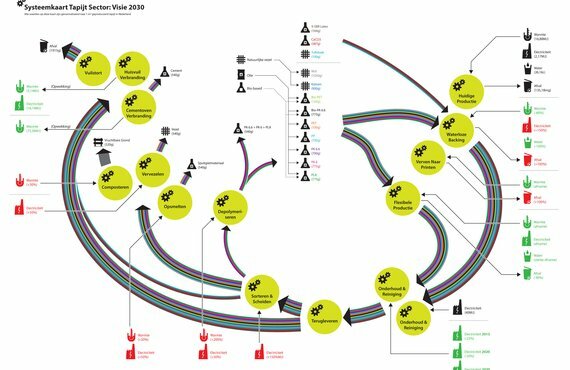 When using system maps in joint stakeholder processes, an overview is made that is shared by all participants, allowing easier communication and faster decisionmaking trajectories. System maps can me made in a right way... and in a wrong way. A good system map brings clarity, understanding and oversight. 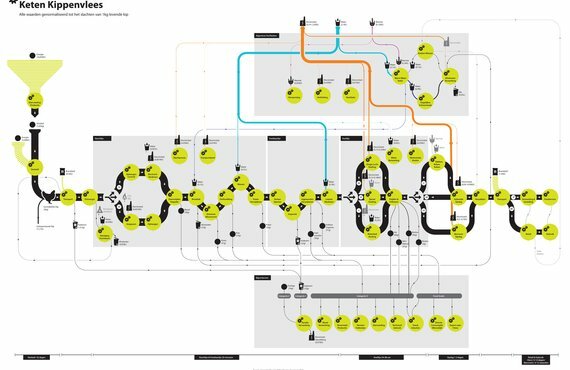 A bad system map may look funky, but add little to decisionmaking and offer few directions to move forward. Therefore, we take the process of making system maps very seriously. By having experienced scientists, analysts and visual designers work together, we've been making insightful and powerful system maps for a decade. Want to know how system maps can shine a light on your situation? We're happy to talk to you about it, send us an email or give us a call. System map showing the industrial processing of chicken. 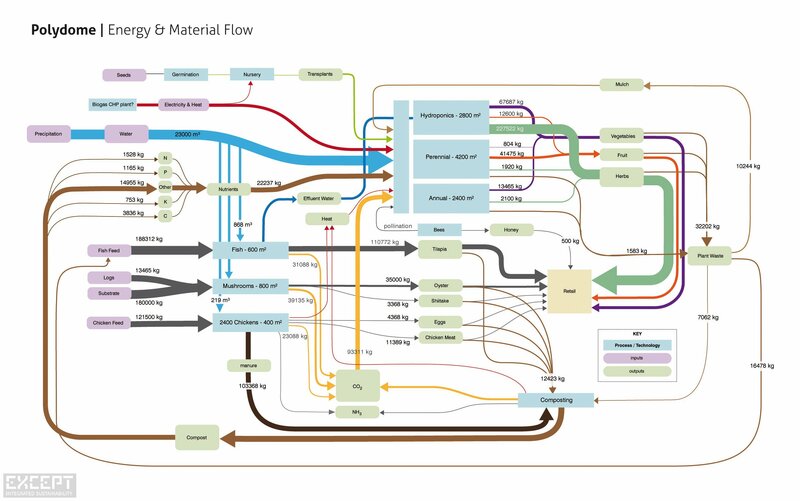 System map showing the energy and material flow in an agricultural system.